Corporate data is what powers most businesses and so is a valuable business asset. In fact, you can say that companies employ information workers to generate and consume data for the betterment of the company. But can you actually calculate the value of data? Employee’s annual salary, benefits, training, and corporate infrastructure all go into calculating the cost of information. On the other side of the equation, average revenue and profit per employee are measures of efficiency and productivity. To be successful, companies must generate more revenue (and profit) than total cost. And these are driven by how well companies manage their information. Issue #1: How much data are we dealing with? Over the last several years, the amount of information employees must deal with has increased dramatically. A majority of that data is email. In fact, in 2015 the average number of emails sent and received per day was 121 and the average size of an email in at the beginning of 2017 was 75 KB. The average size of an email has been steadily rising over the years. The average email can contain additional formatting, graphical signatures as well as actual data. Also a certain percentage of emails will contain attachments such as Word, PDF, PowerPoint, Excel files and video/audio files. So far I haven’t found numbers for total amount of data employees come into contact with so let’s assume email is 70% and non-email data rounds out the rest. That means the average employee is dealing with approximately 13 MB of data per day or 13.3 GB per year. Issue #2: Does information have value if you can’t find it? 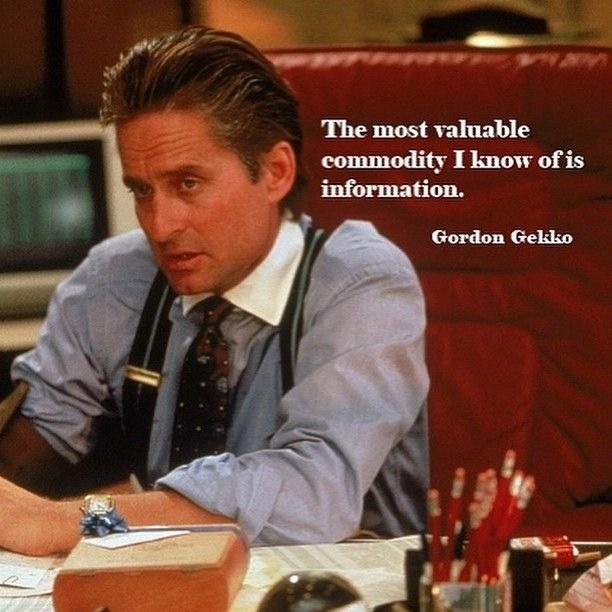 Information only has value if it’s used and to use it, you must be able to find it when you need it. The vast majority of corporate information is in the hands of individual employees who, for the most part, aren’t especially vigilant when managing their data. Most are too busy to adequately address the 13 plus MB of data they come into contact with on a daily basis. 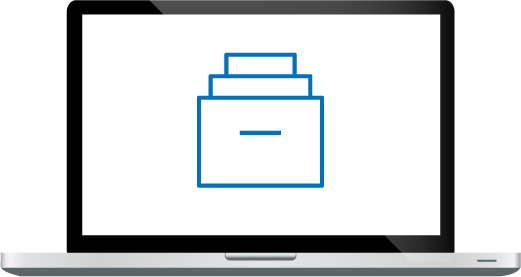 In fact, most employees use their email client as a filing system with little or no management. Just consider how many of your coworkers have thousands of read and unread emails in their Inbox? Other files and internet URLs are dragged into a desktop “catch-all” folder such as the “Documents” folder or more likely get deposited in tens or hundreds of folders spread across their individual workstation, file shares, and cloud accounts. Most companies do not track or manage the vast majority of employee data held unless it’s considered a record and subject to regulatory retention requirements. Generally speaking, compliance related files amount to approximately 5% of the total data accumulation. This lack of information management for the 95% of corporate data not regulated means that potentially valuable information and content subject to eDiscovery are extremely difficult to find. Is this data really that valuable? Let’s look at two examples to address this question of eDiscovery and information management. 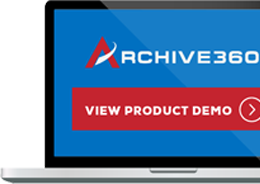 eDiscovery, the process of collecting, reviewing, and producing potentially relevant data in response to an eDiscovery request is an expensive and risky process if not taken seriously. The eDiscovery process includes collecting potentially responsive content based on the specific parameters laid out in the eDiscovery request. For example; produce all data that has anything to do with the development of widget 123 between the dates 5/17/2004 and 12/31/2010. The party being discovered has a responsibility to find and produce all responsive content no matter where it may reside and no matter the cost (in most cases). If all relevant content is not found and produced, you run the risk later of having the case reversed, fines applied, and in rare instances, loss of professional license. Additionally, if your organization’s search technology is dubious, many legal departments will over collect causing the cost of review to skyrocket. Employee productivity is another area where inadequate information management can drive up costs. Most employees reuse information on occasion, that’s why many of them save everything they come into contact with. For example, I find myself looking for old/inactive information at least once per week. I usually spend around 15 minutes looking in my numerous storage repositories including my business and personal OneDrive accounts. If I find the information, great. However, an important number here is the percentage of times I actually find the information I was looking for. This number is hard to nail down so let’s assume 50% of the time I actually find what I was looking for. That means that approximately 50% of the time I don’t find what I was looking for. Because of that, I will either spend time recreating the data from other sources such as internet research or bug my co-workers to see if they have something related. My actual time consumption for this is approximately 2 hours per event. Many are surprised at the amount of time they spend looking for old content to reuse or reference. Assuming my experience above, let’s look at the math. I went through this math exercise to make the point that ignoring total information management is costly for companies in both eDiscovery and end-user productivity. In my next posting I will take this example even further and point out the cost of a lack of information management and lost revenue as well as talk about strategies to cut these costs dramatically.